Good news! The first print of my book has been sold out in 6 weeks. 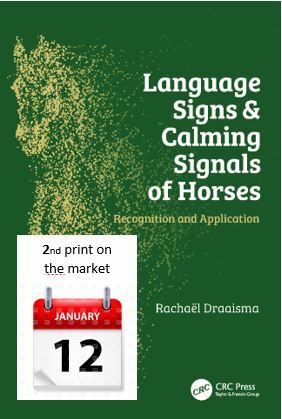 I am very happy that the calming signals of horses are so well received. However it does ask some patience from the people who have ordered a book and are still awaiting the delivery or want to order a book. The 12th of January is the date that the second print will be in the warehouses of my publisher CRC Press. Then they will start posting the books that have been ordered. I hope my book will compensate the long wait.